NASA's Space Telescope Science Institute (STScI) recently awarded Southwest Research Institute the largest Hubble Space Telescope (HST) solar system program ever, with 206 of Hubble's orbits around the Earth allocated to the project. The Solar System Origins Legacy Survey (SSOLS) will focus on Kuiper Belt objects (KBOs), particularly binary populations. 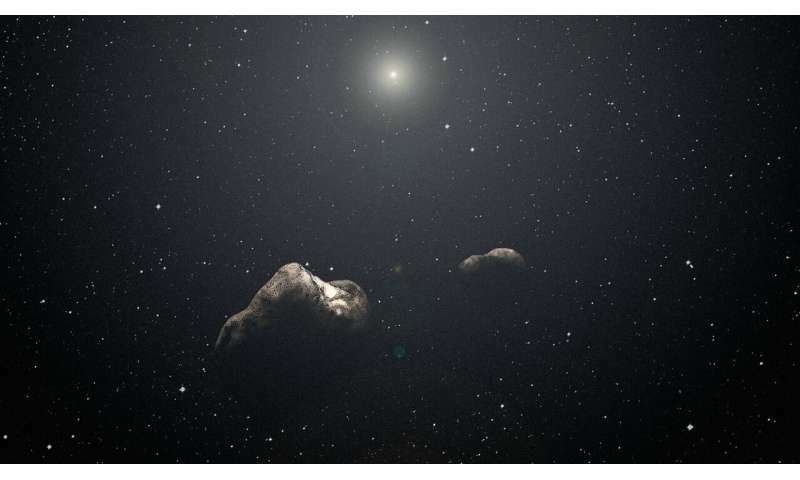 "The Kuiper Belt is a unique remnant of the solar system's primordial planetesimal disk," said Dr. Alex Parker, the SwRI planetary scientist leading the survey. "This cold, calm region has preserved an extraordinarily large population of binary objects, particularly those where the two objects have similar mass." Hubble orbits at an altitude of about 350 miles, circling the Earth every 97 minutes. Most HST time is dedicated to studying interstellar space phenomena. The Kuiper Belt is a distant reservoir of ancient material that lies at the edge of our solar system, beyond all the terrestrial and giant planets. At the present time, the properties of the Kuiper Belt's unique population of binary systems can only be accurately measured with Hubble. SwRI leads this large HST project focused on characterizing the binary and color properties of over 200 unique KBOs. Team members are spread across the USA, Canada and Northern Ireland. "These binary systems are powerful tracers of the processes that built the planets," Parker said. "We will use Hubble to test the theory that many planetesimals formed as binary systems from the get-go, and that today's Kuiper Belt binaries did not come from mergers of initially solitary objects." Binary objects orbit around each other as they collectively circle the Sun. Recent models of small body formation suggest that binaries are leftovers of the very earliest times of our solar system, when pairs of bodies could form directly from collapsing swarms of small-scale "pebbles." The SSOLS program builds upon the legacy of the Outer Solar System Origins Survey (OSSOS) and Canada-France Ecliptic Plane Survey (CFEPS), the two largest well-characterized Kuiper Belt surveys ever conducted. By drawing targets from these well-characterized surveys, SSOLS will provide a coherent framework to test leading theories of planetesimal formation and the origin and evolution of the outer solar system's architecture. More information: The SSOLS team will be posting updates, images, and results on its website, https://www.ssols.space/.